Some of us may not remember the Edmund Fitzgerald freighter sinking into the waters of Lake Superior. Those that do, will remember where they were when they heard the news. It was a tragic event and 29 crew members lost their lives. 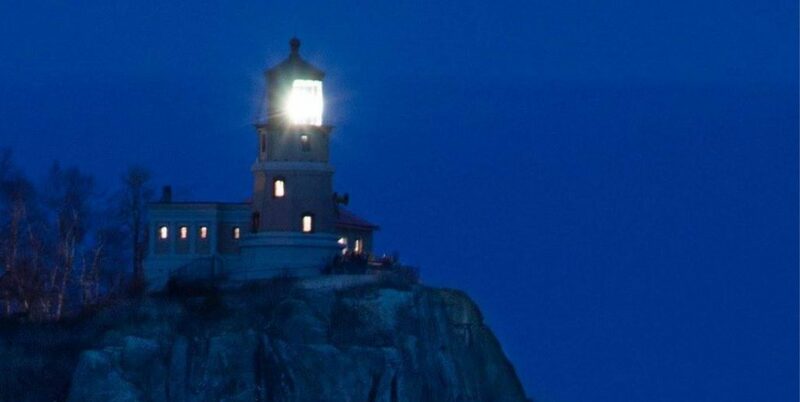 This Saturday, November 10th you can join others at the Split Rock Lighthouse near Two Harbors, for an event to reflect and remember the tragic event. You can more information on the Minnesota Historical Society page. At 4:30 pm, the lighthouse will close temporarily while the names of the crew members are read to the tolling of a ship’s bell. Following the ceremony, the beacon will be lit, and the tower will be open again to tour. This is the only opportunity each year when visitors can climb the tower after dark and see the lit beacon.